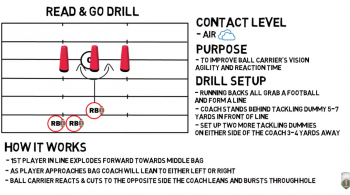 Allows players to gain better take-off, great movement and acceleration to the quarterback. Set up 4 pop up dummies onthe line of scrimmage. Place 2 or more players behind the line of scrimmage. The coach should be positioned about 7 yards back, as if he were in the quarterback position. The linemen are going to get off and, if we had a full line, all of them would go at the same time. They’re going to approach the coach like a quarterback at seven yards’ depth. 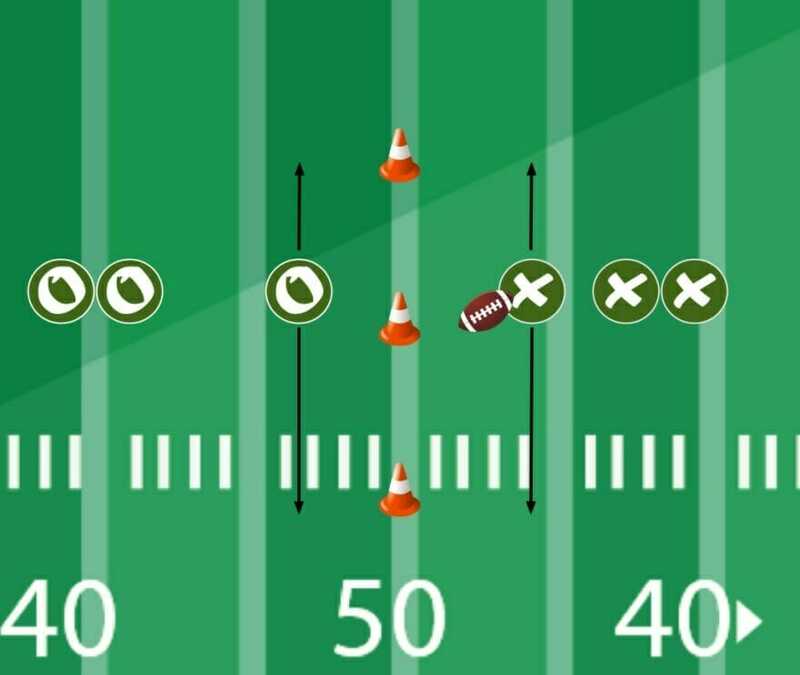 The coach will give them a draw call in which they would retrace their steps and go right back to the line of scrimmage, or the coach will point a screen to the right or to the left and see if they break in the proper direction and the proper pursuit angles. You want your players to have great take-off, great movement and acceleration to the quarterback–you don’t want that to ease or slow up because players are anticipating. 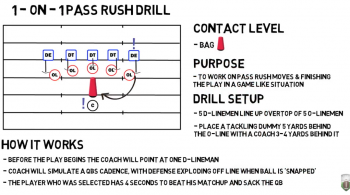 When they hear the draw or feel the draw, they should immediately break back to the line of scrimmage and try to restrict the running area for the quarterback.